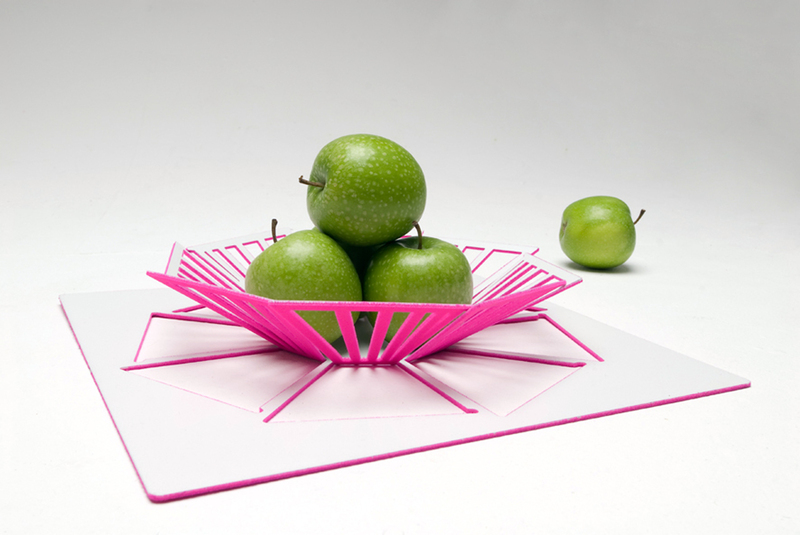 Ideal for holding fruit, the Gills Bowl is a flat-packed product, which is transformed into a three dimensional object by the user. 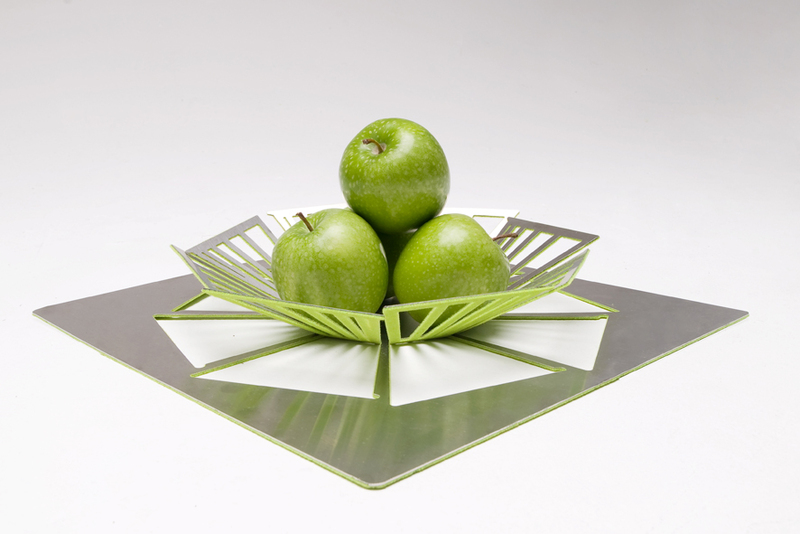 Made from laser cut metal, the bowl keeps its shape after it is bent into its final form. 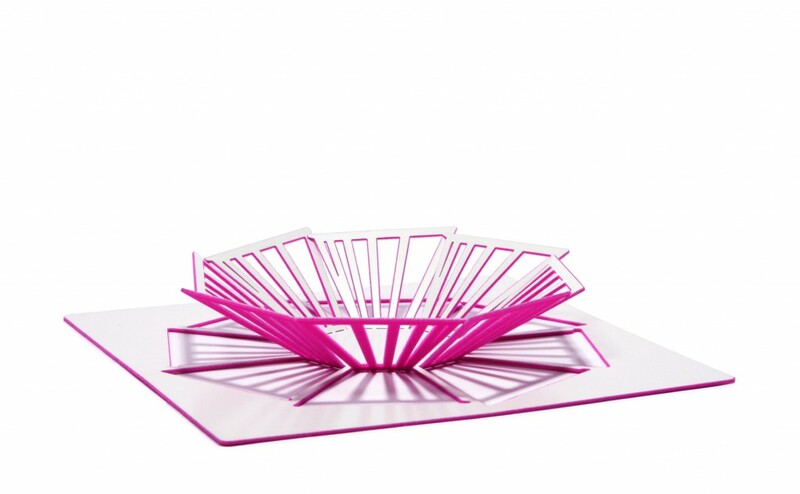 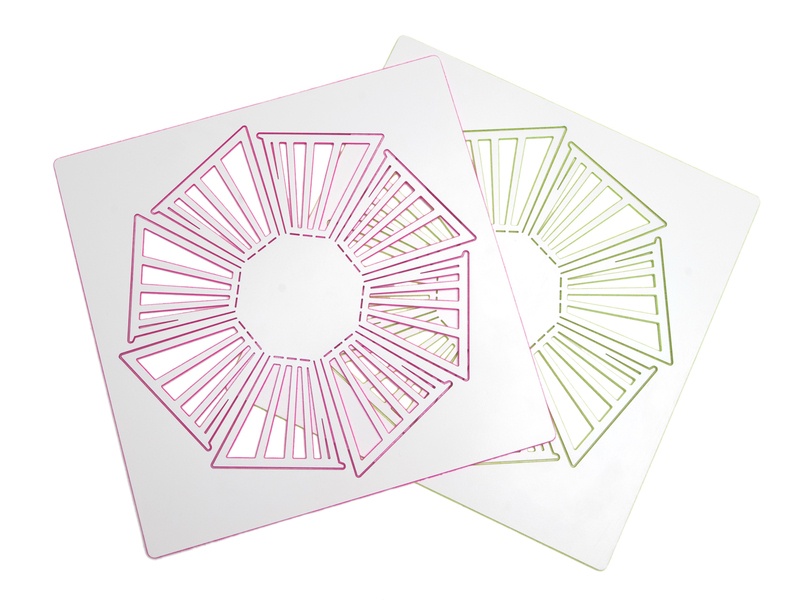 Its colourfully flocked underside sits smoothly on any table surface. 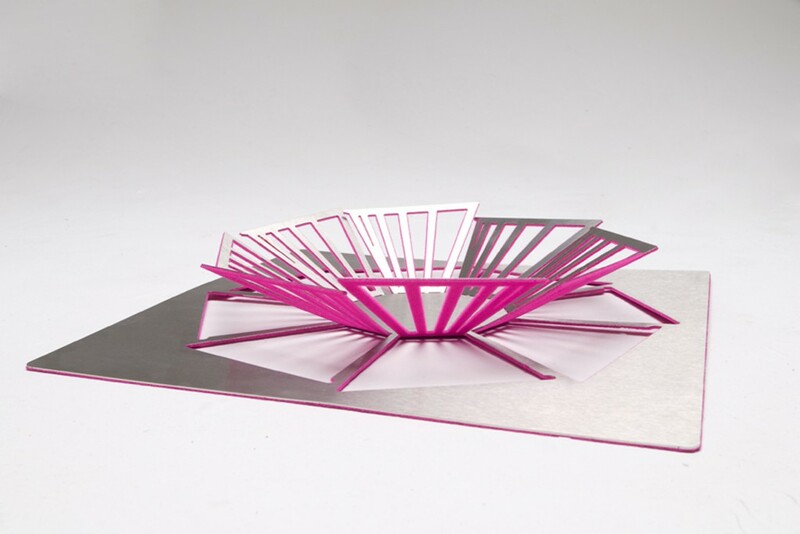 The Gills Bowl is 300x300x70mm in size in its folded state.